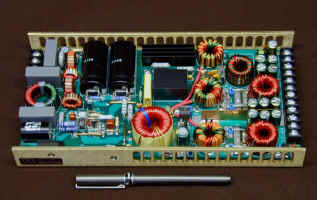 KDK Electronics, Inc., located in Reno, Nevada, manufactures customizable, AC-DC switching power supplies. We specialize in open frame, low profile, high efficiency, multiple output converters for fanless ATX, medical, and high voltage TWTA applications. Our 250W, 350W, 450W, and 650W models are among the most efficient in the multiple output, open frame converter class. Other non-advertised products available. Contact Don at (775) 849-0872 or email info@kdkelectronics.com. Copyright (c) 2007 KDK Electronics, Inc. All Rights Reserved.